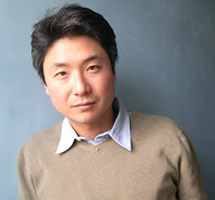 Chang-Rae Lee Chang-Rae Lee is a first-generation Korean American novelist. Lee emigrated to the United States with his family when he was 3 years old. Raised in Westchester, New York, Lee attended Phillips Exeter Academy in Exeter, New Hampshire. He graduated from Yale University with a degree in English and from the University of Oregon with a MFA in writing. He worked as a Wall Street financial analyst for a year before turning to writing full time. Lee teaches writing at Princeton University, where he has served as the director of Princeton’s Program in Creative Writing. 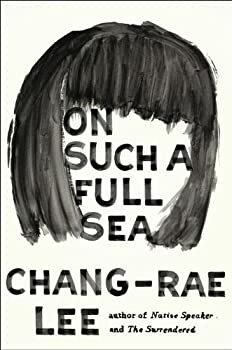 CLICK HERE FOR MORE TITLES BY CHANG-RAE LEE. I had high hopes for Chang-rae Lee’s On Such a Full Sea. A literary author turning his hand to a post-apocalyptic tale that would focus less it seems on zombies and cannibals etc., but take the opportunity to make some searing points about class and globalization and other current issues. But as has been the case with a distressingly large number of my reads lately, while I ended up appreciating the starting premise and also what Lee was trying to do, he lost me in the execution.